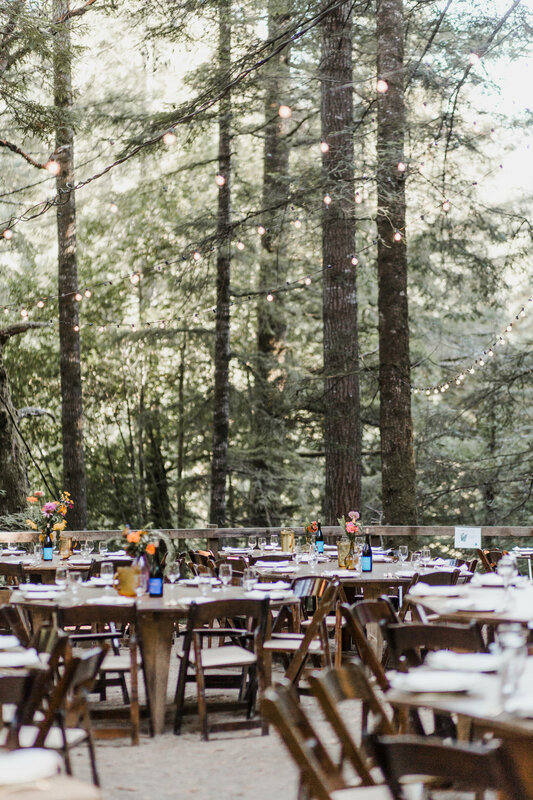 Up the hillside above Mendocino is the most magical sanctuary you never knew was there. 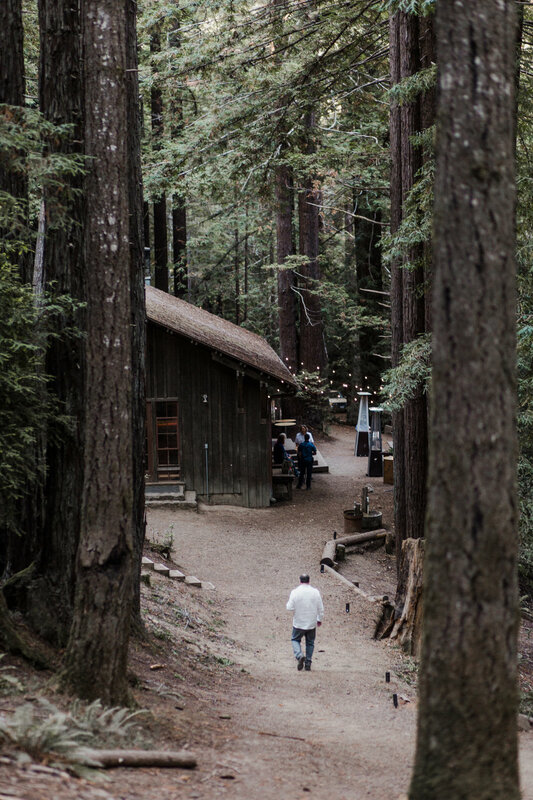 It’s easy to miss the turn off for the six mile gravel road that takes to you this paradise, but with the saavy technology of google maps, it was a breeze to find the Mendocino Woodlands. 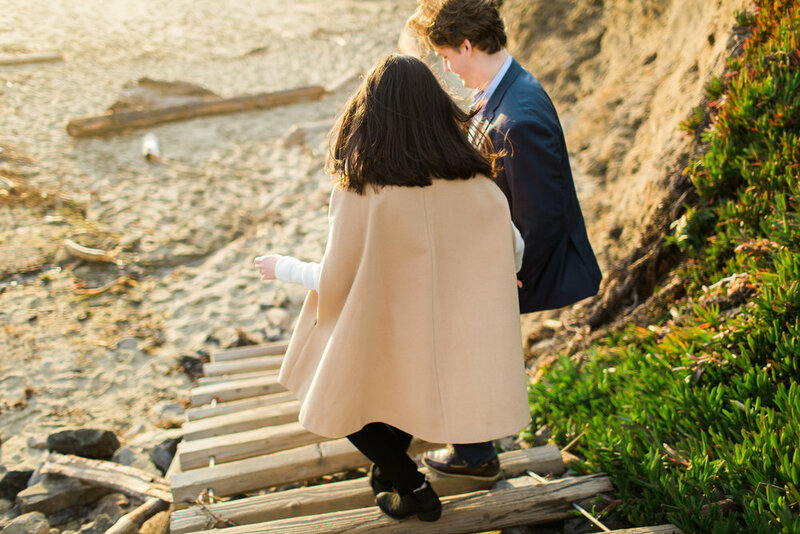 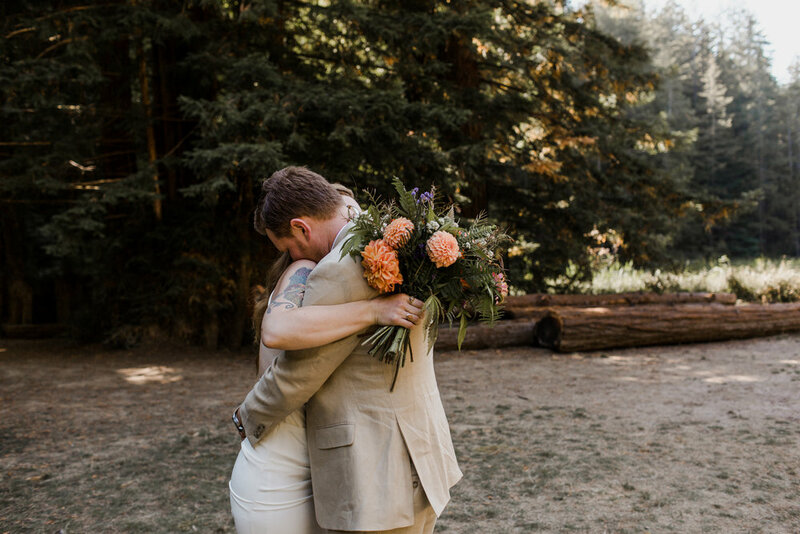 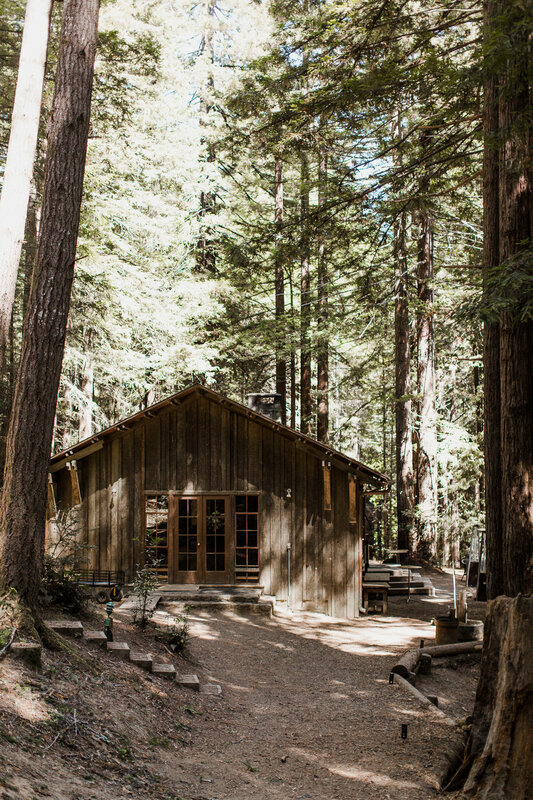 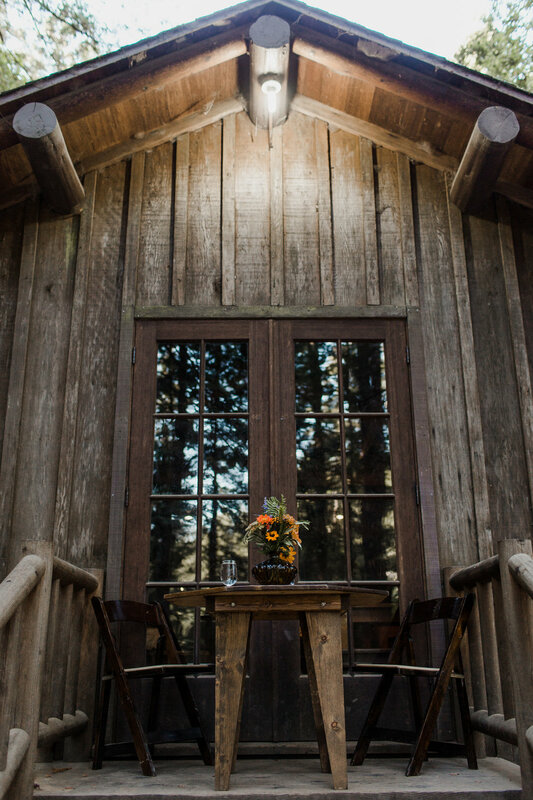 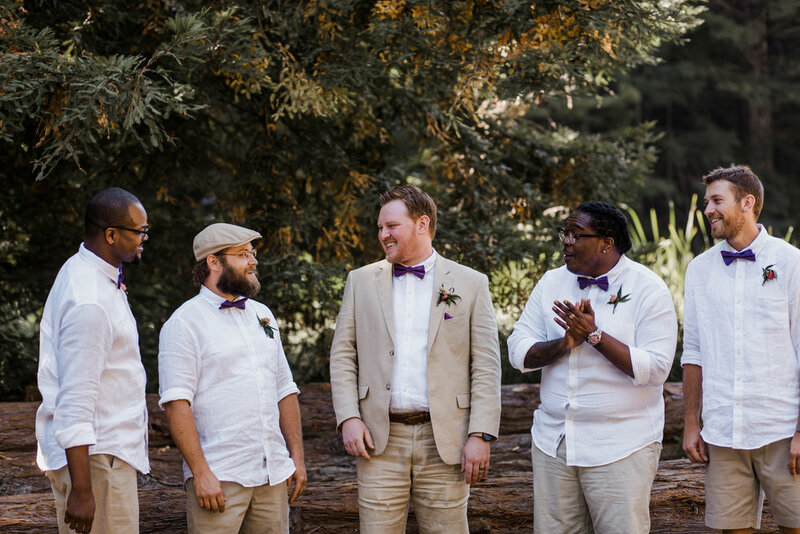 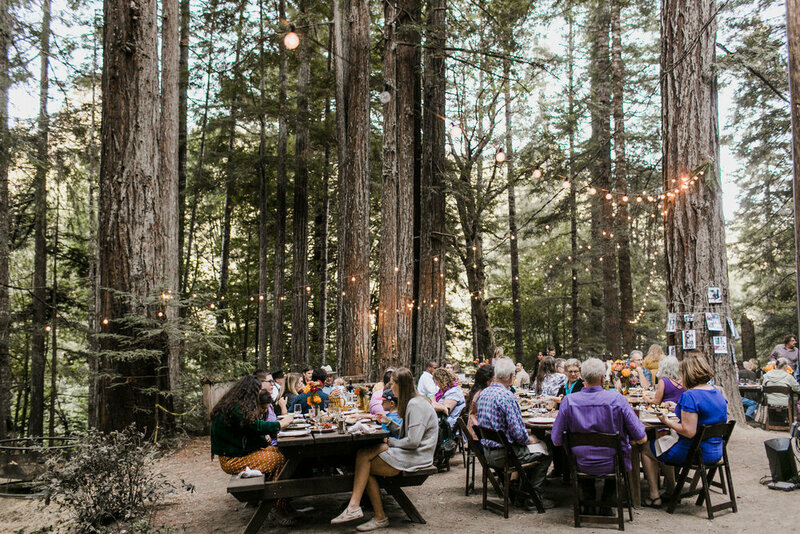 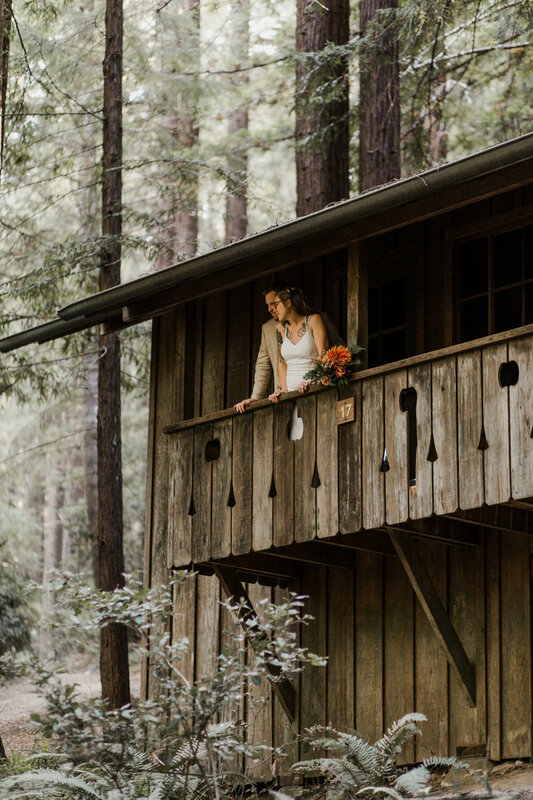 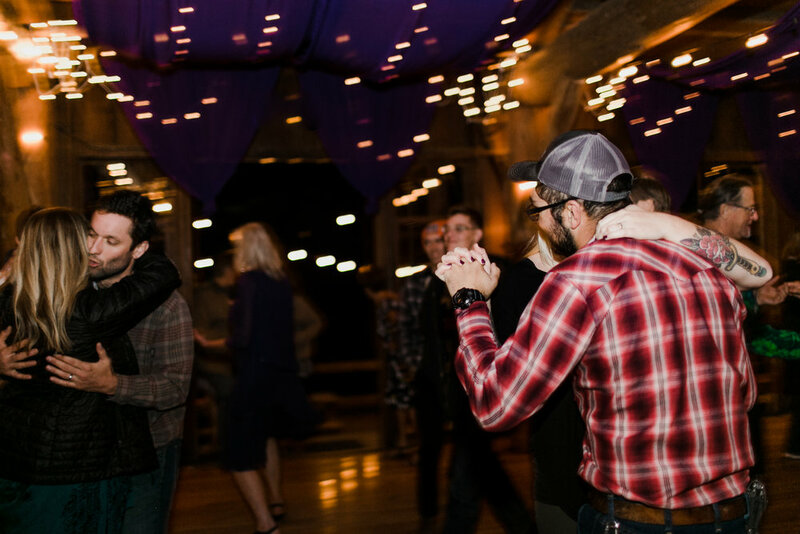 Featuring several camps that can house your entire wedding in adorable cabins, the woodlands reminds you of your favorite adventure summer camp, with a mess hall, picnic benches, creeks and meadows. 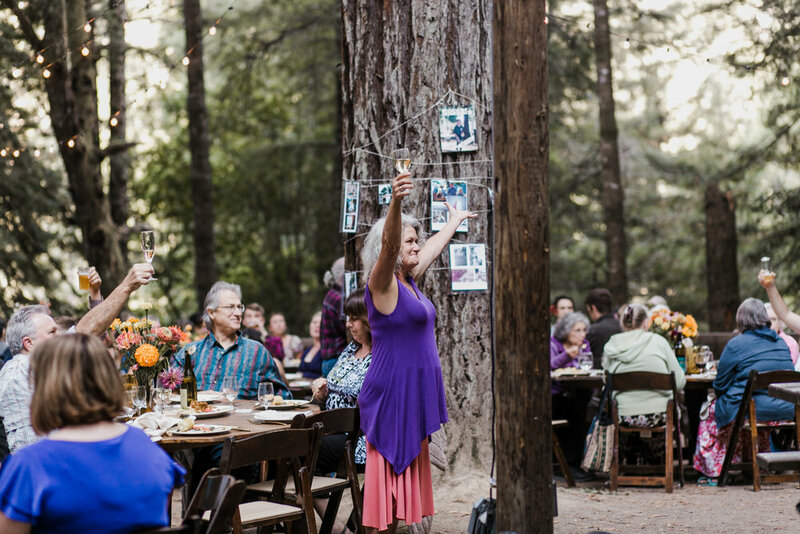 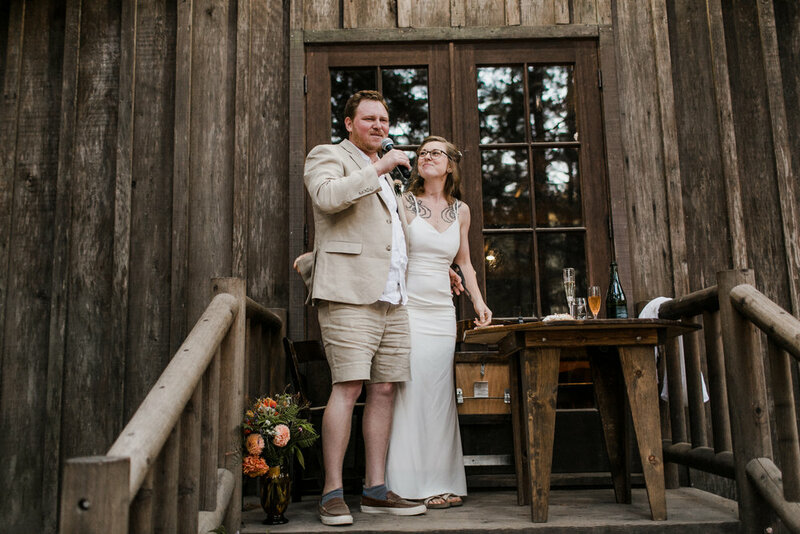 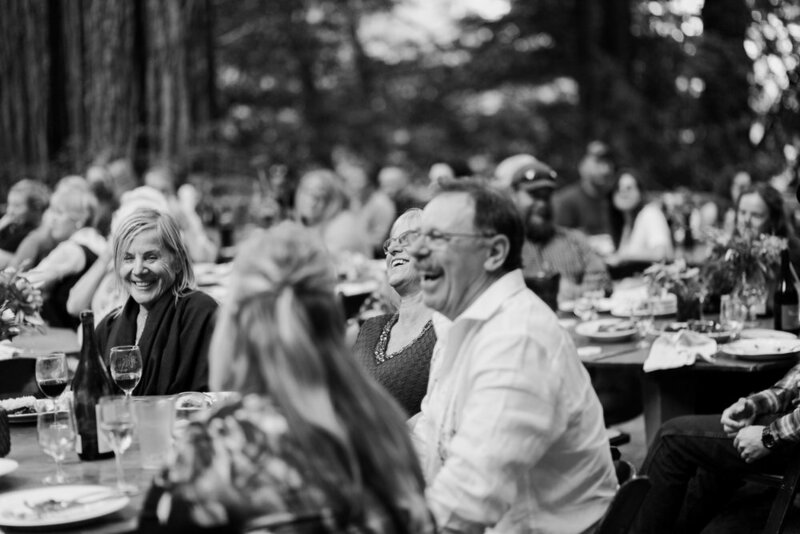 Lynnette and Nick celebrated their wedding with week long stay in Camp One, with a hundred of their loved ones. 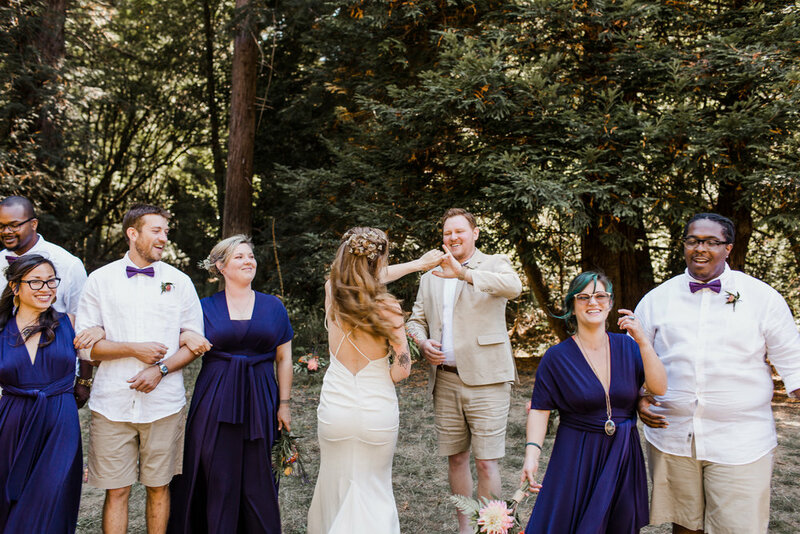 The morning of their wedding was relaxed and exactly as they’d hoped- leisurely getting ready with all their guests helping out how they can. 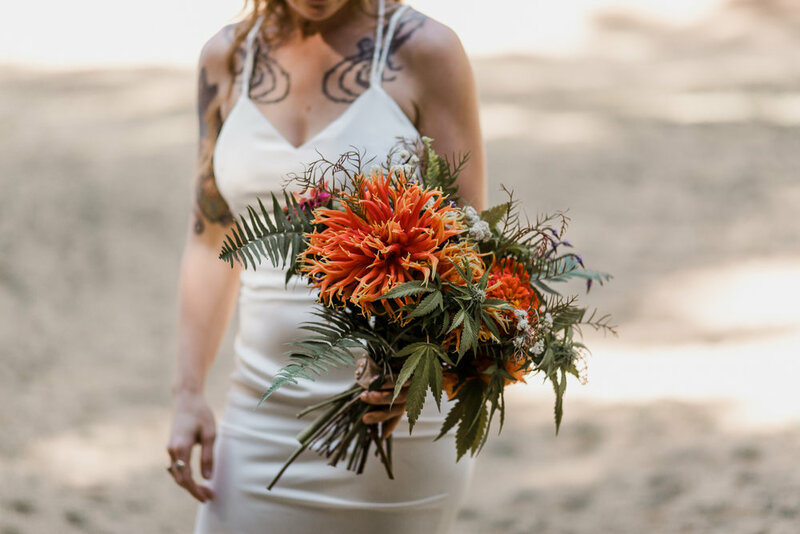 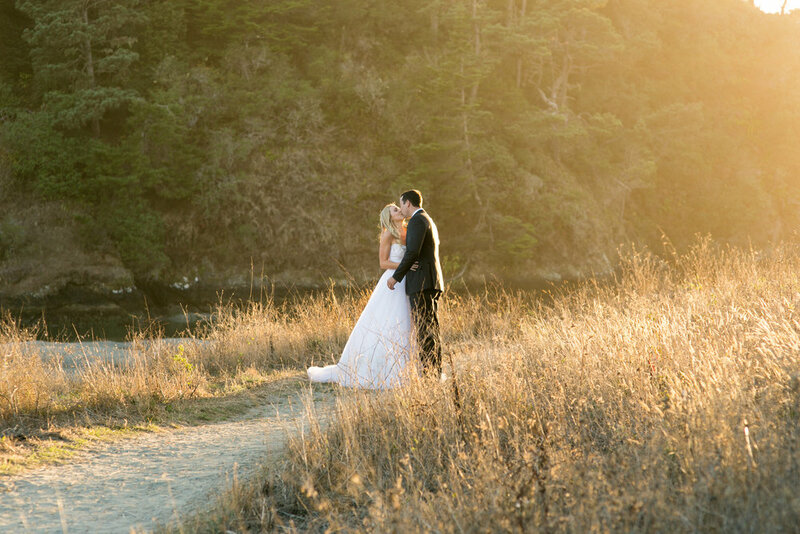 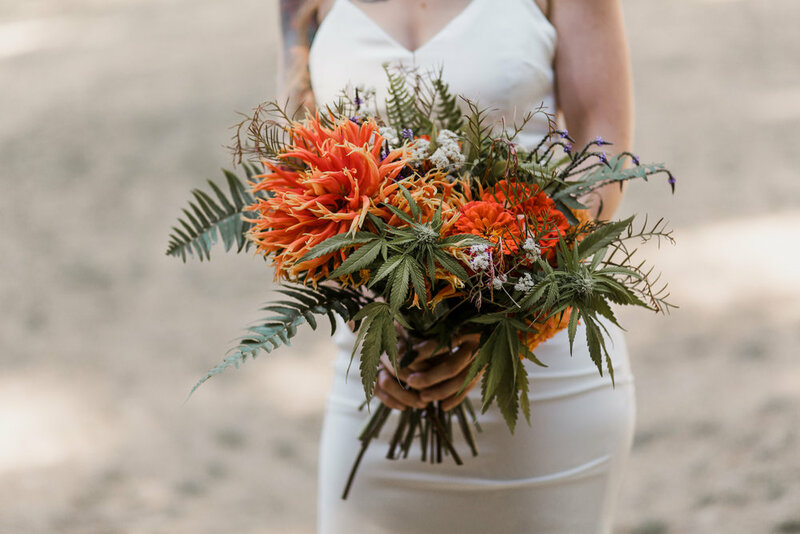 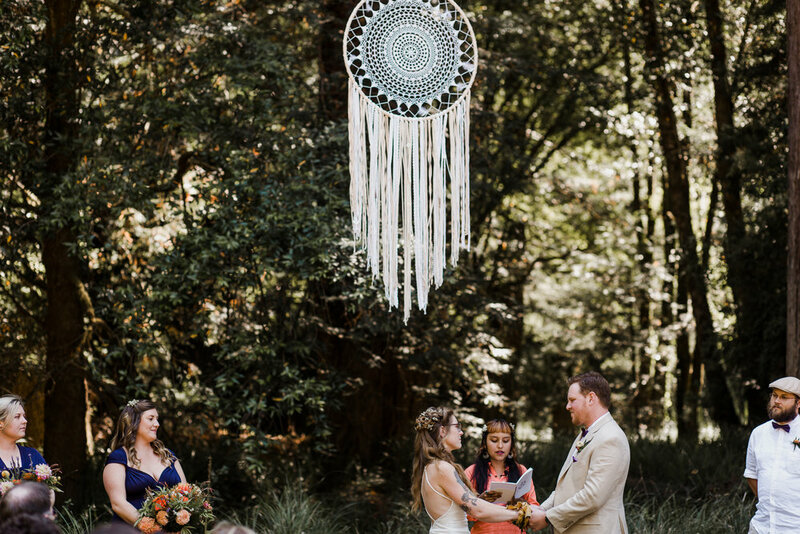 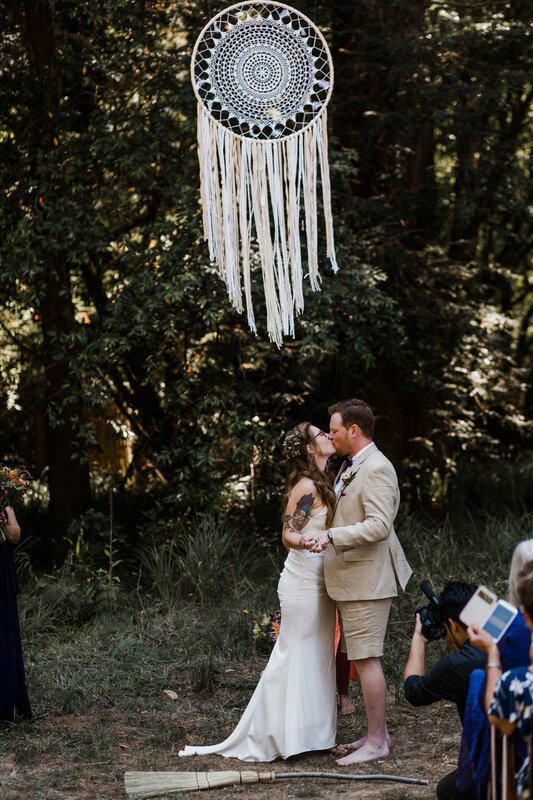 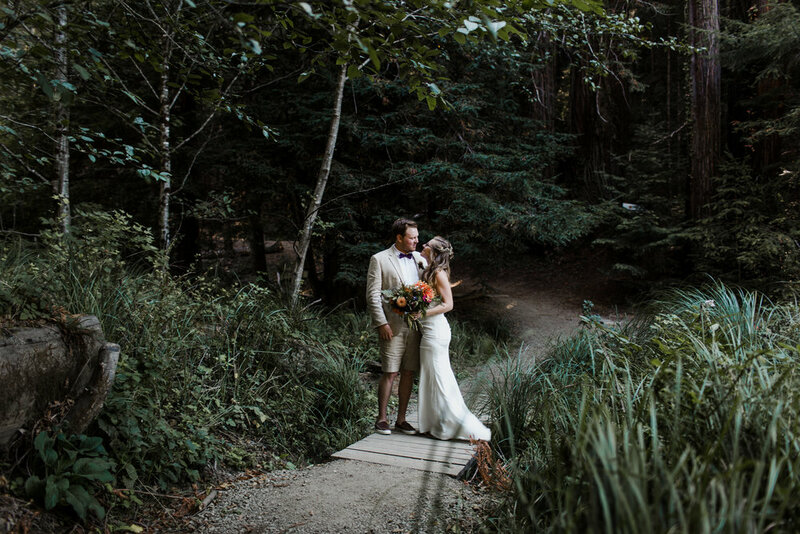 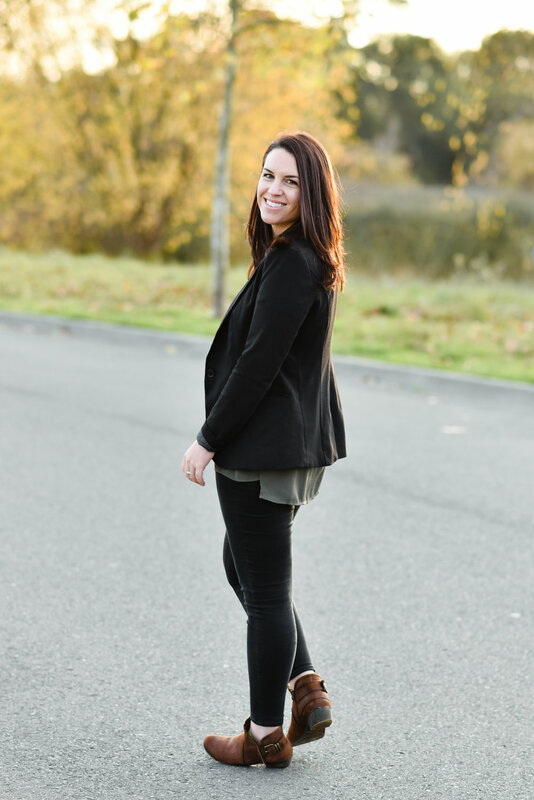 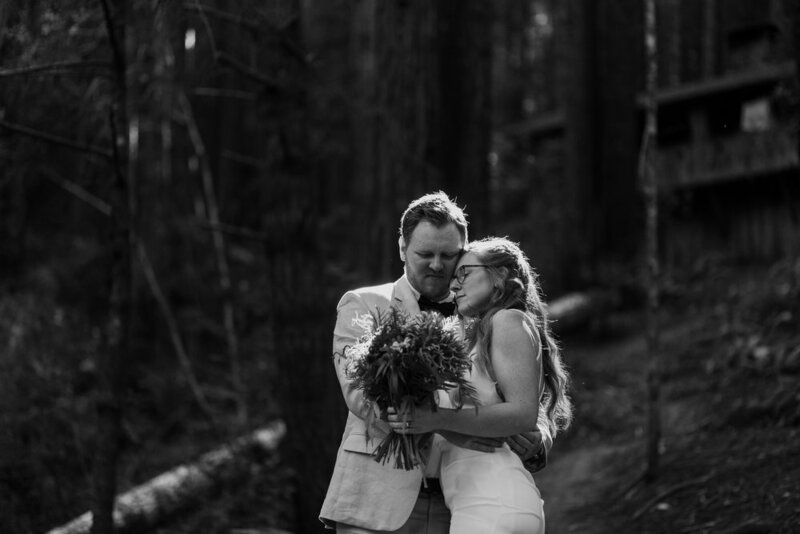 They wed in the a gorgeous meadow with redwoods as a backdrop, and dined under the branches of a different set of redwoods. 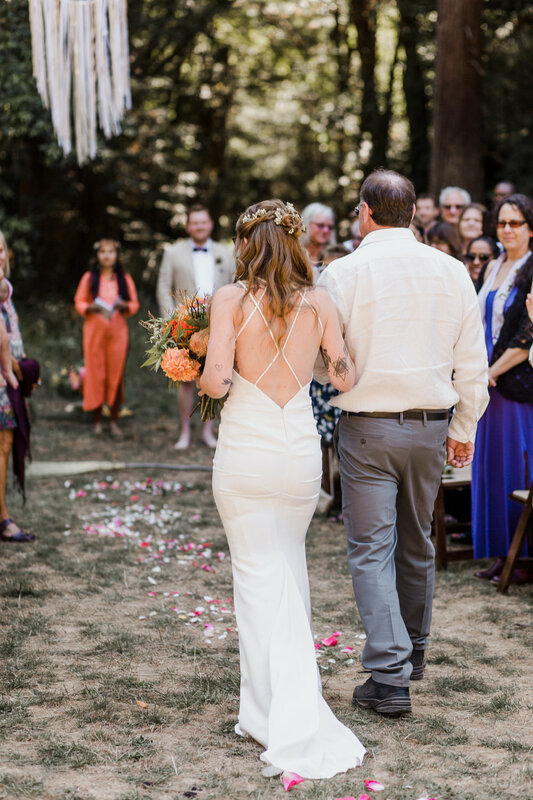 It was camp wedding perfection.